The following physicians will be working together this year to protect the interest of their patients and improve the health of all Arkansans. 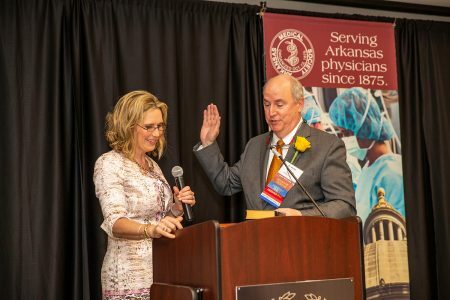 They will work in various leadership roles within the Arkansas Medical Society to continue the association’s mission of improving health care in our state through legislation, education and the day-to-day support of patients and medical practices. New officers include: R. Lee Archer, MD, Little Rock (president); Chad Rodgers, MD, Little Rock (vice president); George Conner, MD, Forrest City (secretary); Gene Shelby, MD, Hot Springs (speaker of the house); and Jim Ingram, MD, Little Rock (vice speaker of the house). New board members include: James DeRossitt, MD, Forrest City; William D. Dedman, MD, Camden; Ngozidilenna Wilkins, MD, Nashville; William Ackerman, MD; Dale Blasier, MD; Carolyn Reeves, DO, Bentonville; and Austin Armstrong, Little Rock (student trustee). For over 140 years, the Arkansas Medical Society has served the physicians and patients of Arkansas. This year in the Arkansas Legislature, AMS successfully supported legislation expanding access to physicians using telemedicine technologies, supported efforts to increase access to care through the Arkansas Works Medicaid expansion program, and supported a patient’s right to know where to find their physician in the event the physician changes practice location. Amy Cahill, MD, immediate past president, swears in R. Lee Archer, MD, AMS incoming president. Other significant legislative advances for Arkansas patients and physicians supported by AMS in the past include: establishing a statewide trauma system, passage of the Clean Indoor Air Act, funding tobacco prevention and cessation programs, funding cancer research, providing vision screening in schools, and protecting an Arkansan’s right to choose their physician through “Any Willing Provider” legislation. 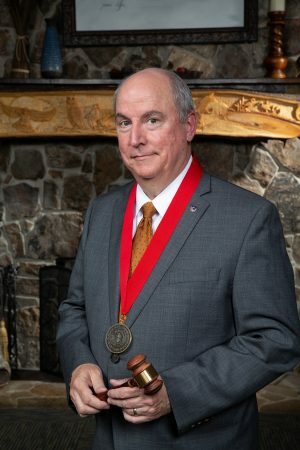 The Arkansas Medical Society is a voluntary professional association, established in 1875, representing more than 4,300 physicians and medical students as well as the patients and communities they serve.